What makes a pasty Cornish? According to the Cornish Pasty Association, the savoury staple's protected name status means a Cornish pasty must contain a minimum of 12.5% diced or minced beef and 25% vegetables. The ingredients must be uncooked when the pasty is assembled and the pastry (which must be savoury) must be crimped into a D shape and glazed with egg, milk or both. Of course, the pasty must be made in Cornwall. Under EU law, certain produce enjoys protected name status. The protection is available for foods which either specify their designated place of origin (PDO) or indicate a certain geographical locality (PGI). Fal Oysters enjoy PDO status whilst Cornish pasties have PGI status. Food names are also protected where produce is made using certain production methods and ingredients, referred to as Traditional Speciality Guaranteed (TSG). For producers of foods with protected name status, their produce is shielded from imitation throughout the EU. For consumers, this means that when purchasing goods with PDO, PGI or TSG status, they can be assured as to geographical origin and/or certain ingredients or production methods. However, as March 2019 approaches, the question arises of what will happen to the protected name status in the event of a no deal Brexit. Will we see Croatian Cornish pasties or German Single Gloucester? EU producers will have to apply for protection in the UK.The guidance suggests that produce enjoying protected status will continue to have protection throughout the EU after a no-deal Brexit. However, if this is not the case, UK producers will need to apply separately to the European Commission for protection under the EU system. The alternative will be to make an application for collective mark protection or an EU certification mark. It is not entirely clear how UK protected foods will be served in the event of a no deal Brexit. The Government's proposals suggest that foods with protected status from other EU states will not benefit from automatic protection in the UK. 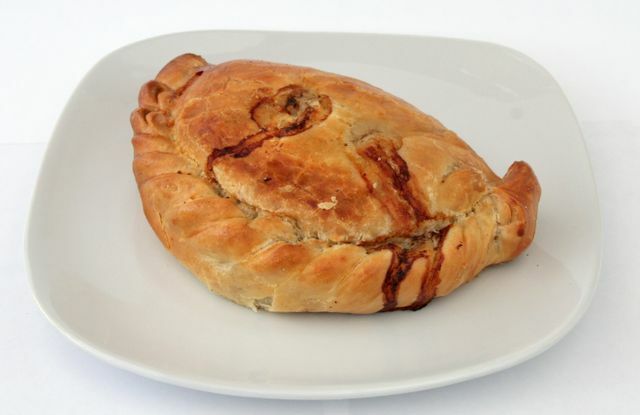 If the EU takes a similar view on UK produce, Croatian made Cornish pasties could well be available across Europe from as early as next summer. The UK may (in comparison with the EU) have far fewer registrations for PDOs, PGIs and TSGs, however there is a high level of recognition of UK protected names within Europe and it is that customer recognition and perception of quality that commands a premium price for protected food and drink products originating from the UK in Europe. Recent studies have shown that this premium pricing can lead to an increase in price of UK food/drink by over 50%. The same is not however true of EU products' treatment in the UK, where only a nominal price increase (nearer 7%) is achieved by products originating from the EU which benefit from a protected food name status. It would appear therefore that the UK has a lot more to lose (and therefore much more to gain certainly from an economic perspective) by ensuring that they act quickly and implement their own national protected name scheme. To some extent, UK businesses can seek to protect their own names by acquiring collective trade mark protection, or certification marks – this may be worth considering in light of the UK Government's delay in confirming what steps they are going to take. If clients wish to know more about the options available to them please do speak to us. University of Oxford applies to register the trade mark "OXFORD"